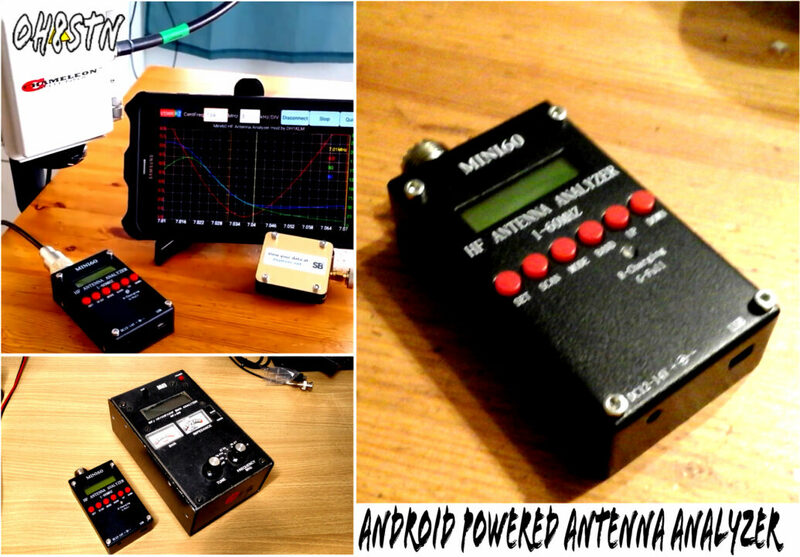 Recently I purchased a Mini 60 antenna analyzer. 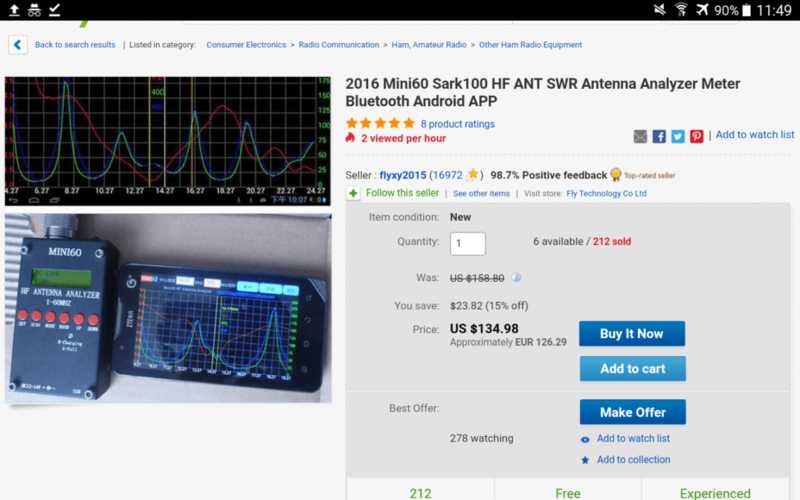 It’s a clone of a clone of a clone of the sark100 antenna analyzer. Having owned the MFJ 269 for a number of years, I’m under No Illusion about the Mini 60. Still I thought that I would explain why I chose this as my next field analyzer. Like many companies in the amateur radio business, MFJ doesn’t seem to understand the idea of Mobility. I’ve owned there antenna analyzers, and their tuners which have all worked well. However, the one thing that all of their products always have in common, is they’re designed by the same person who designs the containers for transatlantic shipping. What I mean is, the products are like giant, mostly empty boxes, without the hint of ergonomics in their design. Okay, we usually look past that because the products work so well, and that’s fair! Now if you’ve followed the channel or survivaltechnology.net for any length of time, you already know that I’m pretty much a hardened hater of low quality “budget” products, no matter where they come from. So I understand how it might come as a surprise that I bought this Mini 60, over its American-made counterparts. Here’s a short Rundown of some of the key features that were important to me. If anybody knows about a comparable product with these features, made in a western Factory, costing less than one hundred fifty bucks, I’ll smash the Mini 60 with the hammer on video, and purchase the other analyzer. Most of us have experienced Chinese quality through eBay or Amazon sales of the famed Baofeng uv-5r. Proponents of this radio will tell you that it’s just the same as a Yaesu, Icom or Kenwood, but realistically we know that isn’t true. So my expectations were pretty low to begin with when I ordered the Mini 60. I guess it would be fair to say that the uv-5r is not representative of all of the Chinese ham radio products imported into the West. The Mini 60 seems to be well built, well packaged, but poorly documented. With all that said, the Mini 60 is not at all what I expected. Of course the resolution isn’t as good as the mfj 269. It does make up for it with the features I mention just a while ago. So why am I singling out MFJ? Honestly I think I’ve been a customer of theirs since the late nineties. The one thing that has always bothered me about their products, has been the high school metal shop design. I am primarily a field operator, so I don’t want to carry something unnecessarily heavy or large! When I’m out man portable, I do so hiking, skiing, snowshoeing, … With radios like the Yaesu ft-817 and the elecraft kx2, how can companies seriously believe we’ll continue buying these giant container truck sized products, which haven’t been updated in over a decade!? I love buying and supporting Western made products. Unfortunately some western companies believe their customers will buy a Western made product, simply because it’s made in the USA, Germany, Canada, … that’s simply not always true. At least not true in the case of the Mini 60. The Mini 60 seems to be at least as well built as my mfj 269. Where the Mini 60 fails is with the software. Thankfully an operator and developer in Germany DH1KLM has modified and improved the original Chinese made Android software, and offered it for free. SM6WHY in Sweden has also released desktop software. Problem solved! So I have a pocket size field antenna analyzer that integrates perfectly and seamlessly with my Android tablet or smartphone. All that for 120$. At this price, who cares if it doesn’t last 10 years. I’m willing to buy another one after 5 years if it lasts that long. 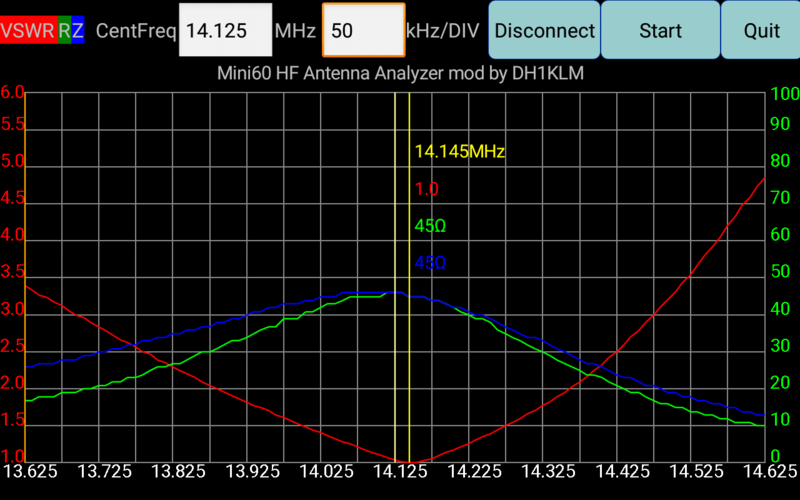 Other operators have enjoyed this antenna analyzer for some time so I’m rather late to the game. Like all of my gear, I’ll beat the hell out of it and let you know how it goes. If you think you want to buy the Mini 60 based on my limited experience, you can support the channel and blogs by using this link to purchase it from eBay.